The Toledo Symphony returns to Corpus Christi for another concert to remember! This time the theme is “The Music of John Williams.” The orchestra will play the greatest hits from the iconic film composer who defines the sound of the cinematic blockbuster. You won’t want to miss it. The symphony will be under the baton of new director Alain Trudel. This is our major fundraising event of the year and is an essential part of our operating budget. 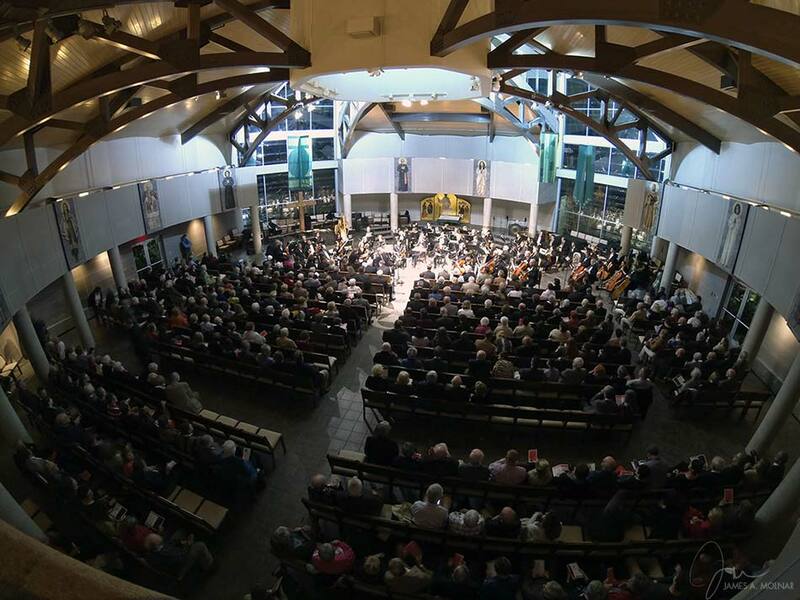 Your assistance with this concert is a direct support of our parish ministry. This event provides the needed funds for our parish operations and offers us an opportunity to enjoy each other’s company and great music. Tickets go on now sale at the receptionist desk after Mass starting Sunday, Sept. 22, or via PayPal or by mail. Thank you very much for your support and generosity. Gourmet Grazing Dinner beginning at 6 p.m.
Students willing to help with the Symphony/Patron’s Dinner, please contact Pam Meseroll (pmeseroll@ccup.org) and she will send you a list of opportunities to pick from. We need 70 volunteers! Would you like to attend the Patron’s Dinner and Concert free? We are raffling 10 free tickets to UT students for the Patron’s Dinner/Concert. If you would like your name put in the drawing, email Pam Meseroll (pmeseroll@ccup.org) or call her at 419-531-4992. If you win you will be contacted on Tuesday, Oct. 23rd.